Travelers can take pictures of receipts with their mobile devices and upload them directly into their expense report. 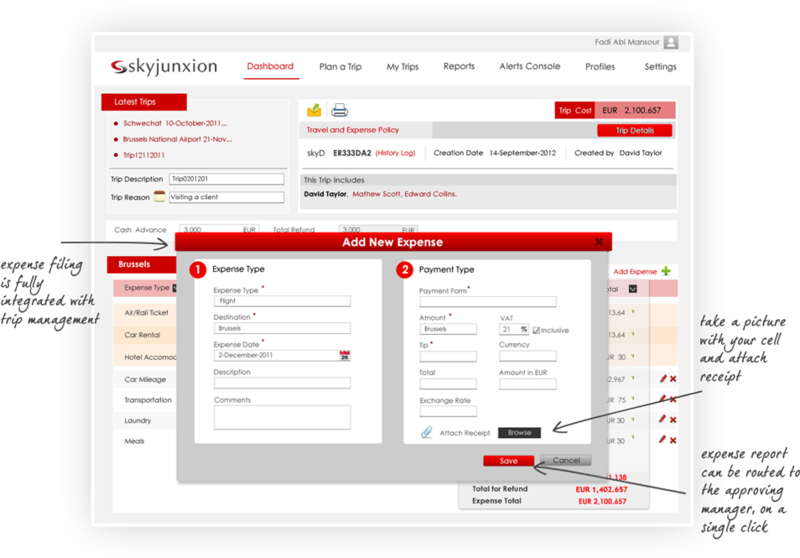 Skyjunxion has integrated currency conversion process. Exchange rates are updated on a daily basis through live feed. Expense reports are automatically routed to the manager for approval. The clarification response capability allows for back and forth in case of any doubt.